Notably, the petrol prices on Monday came down by 8-9 paise across the major cities of the country while diesel prices were reduced by 11 paise per litre. 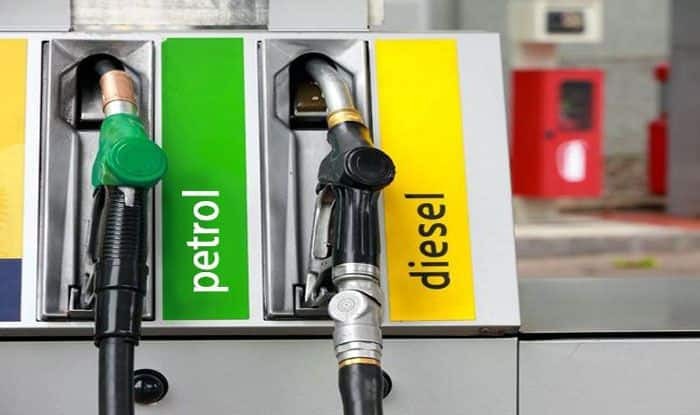 New Delhi: The retail petrol and diesel prices determined by the state-controlled oil marketing companies remained unchanged across major cities on Wednesday. A litre of petrol cost Rs 71.19 per litre in Delhi, Rs 73.82 a litre in Kolkata, Rs 76.82 per litre in Mumbai and Rs 73.90 per litre in Chennai on Wednesday. The diesel prices, on the other hand, stood at Rs 65.8.90 a litre in Delhi, Rs 67.67 per litre in Kolkata, Rs 69 a litre in Mumbai and Rs 69.61 per litre in Chennai, as per the data on the official website of the Indian Oil Corporation. The crude prices on Wednesday came down in the international oil market. According to a report, the International Brent crude oil futures were trading at USD 61.26 per barrel, down 6 cents from the previous closing date. The US crude prices, on the other hand, stood at USD 53.28 per barrel, 3 cents below their last settlement.